Most people describe them as dirty, damp, smelly, moldy, pest and rodent infested environments. What you need to understand is that the crawl space is directly connected to the house. Its condition dramatically affects the conditions inside the house. That can be a huge problem. However, with a proper encapsulation, air, and water control, this previously “bad” space can become a clean energy conserving space. It can become a space that actually helps protects your home and family. Moisture can permeate foundation walls and come through ground water to create damp conditions. 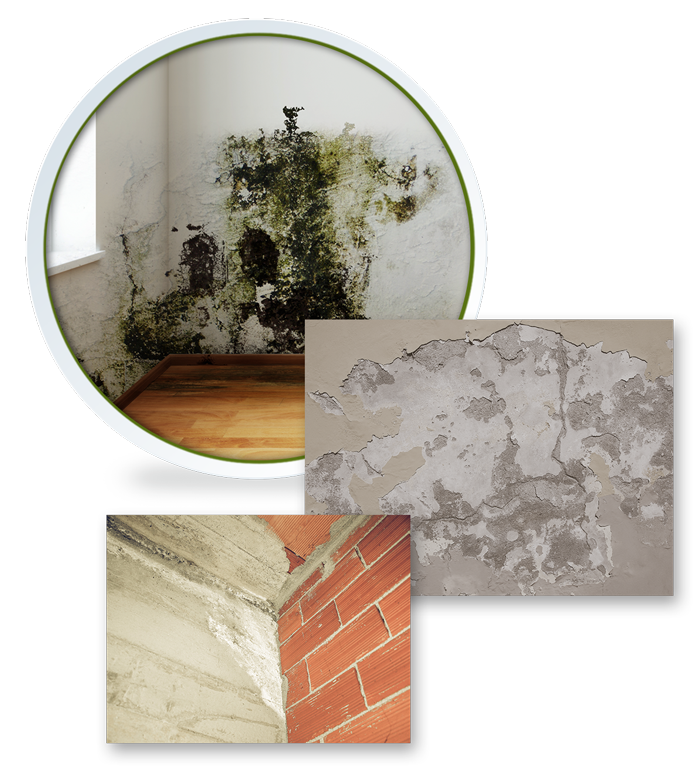 This damp condition in association with organic material promotes mold growth and other issues. Warm air inside the house will draw this contaminated crawl space air through the floor and wall structure with the stack effect, based on the fact that warm air rises. 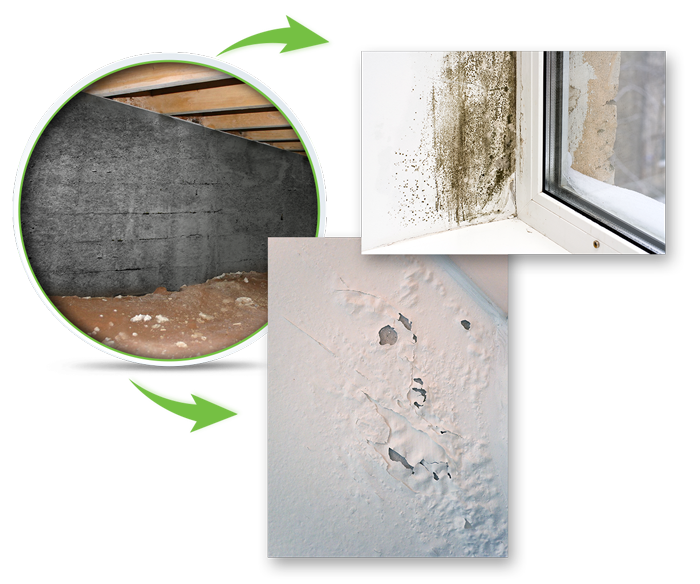 If a house has a damp, moldy, vented crawl space, it is likely that the rest of the house has indoor air quality issues. 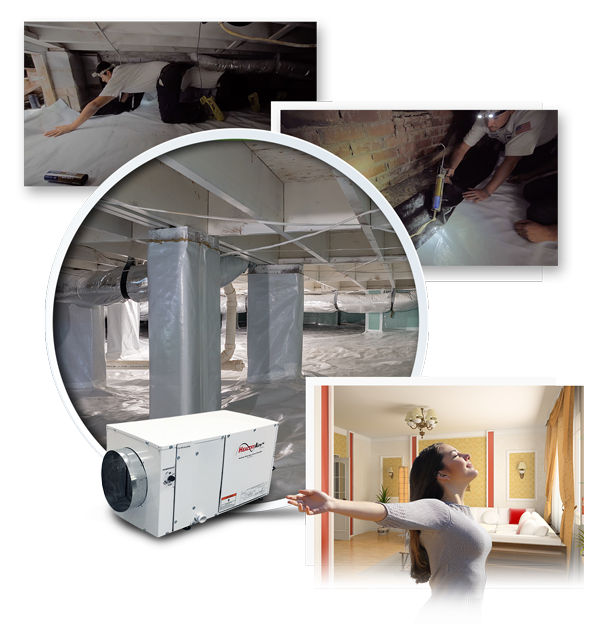 In addition to poor air quality inside the house, unsealed crawl spaces will significantly reduce the efficiency of the heating and air conditioning system. In some cases vents built into a foundation will suffice in managing moisture in the crawl space. But venting can also cause the space to be too hot or too cold and drafty. 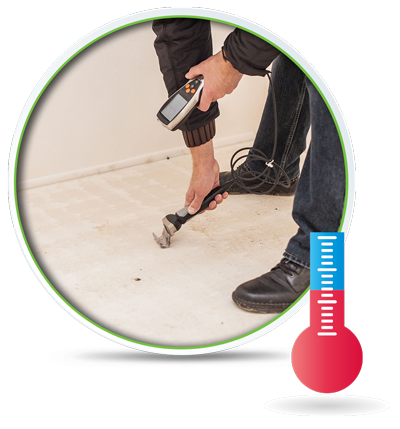 Crawl spaces need to remain at or below 60% relative humidity for good moisture control. Homes with vented crawl spaces are 19 times more likely to have greater than 70% relative humidity than homes with an encapsulated crawl space. This humid condition will fight against the heating and air conditioning system. This causes it to work much harder to condition the inside air than it would with an encapsulated crawl space. Eliminate the affect that mold, bacteria, cockroaches, and dust mites have on triggering allergies and asthma attacks. According to a study by Advanced Energy, homeowners can expect to reduce energy bills by 15 – 18% by sealing off their crawl space. Too much moisture can cause rot that provides ideal conditions for termite colonies, which can weaken the structure of the home. High humidity can cause homeowners to feel either hot and sticky or cold and clammy depending on time of year. 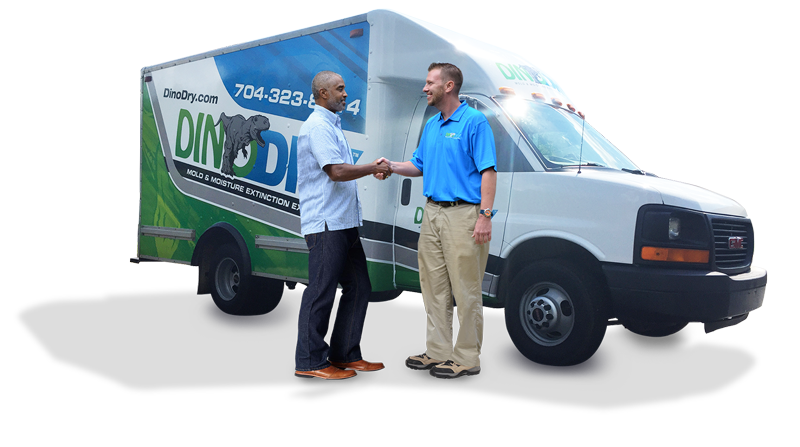 to eliminate the bad conditions in your crawl space, and help you realize the positive benefits of a properly encapsulated system.